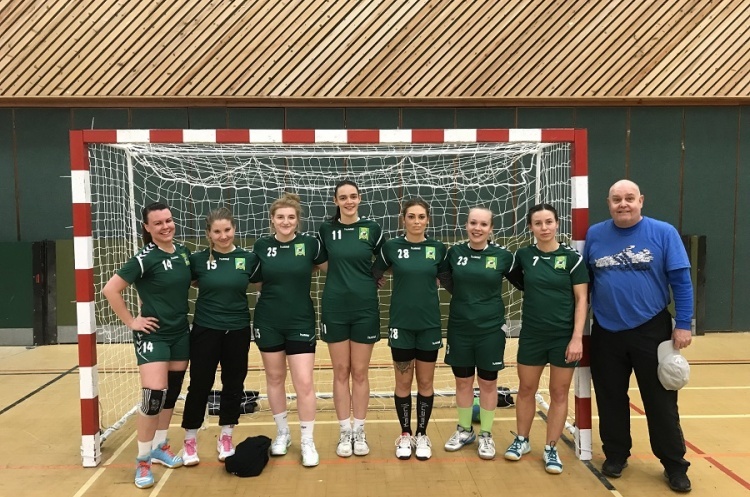 Liverpool Handball Club women’s team started their Regional League North season with a trip to Newcastle. Liverpool started the match well and led 14-9 at the break. However, they were hit with an injury to line player Rosza Szucs. With Liverpool having just seven players Rosza went into goal. Newcastle Vikings produced a stronger second-half performance. However, they were unable to get closer than two goals as the match finished 24-22 in Liverpool’s favour. Overall it was a strong defensive performance from Liverpool’s seven players against a well organised and good Newcastle side. Ania Wojtowicz was top scorer for Liverpool with 12 goals. Other strikes came from Brooke Partington with four goals, three from Judit Radnoti, two apiece from Tori Benford and Marta Tubacka, and one from Essi Matsson. Liverpool are next in action on 16 December in a local derby clash against Premier Handball League Peninsula in the England Handball National Cup.